Not to worry: America’s visionary founders planned for this problem and equipped our Constitution with a solution. 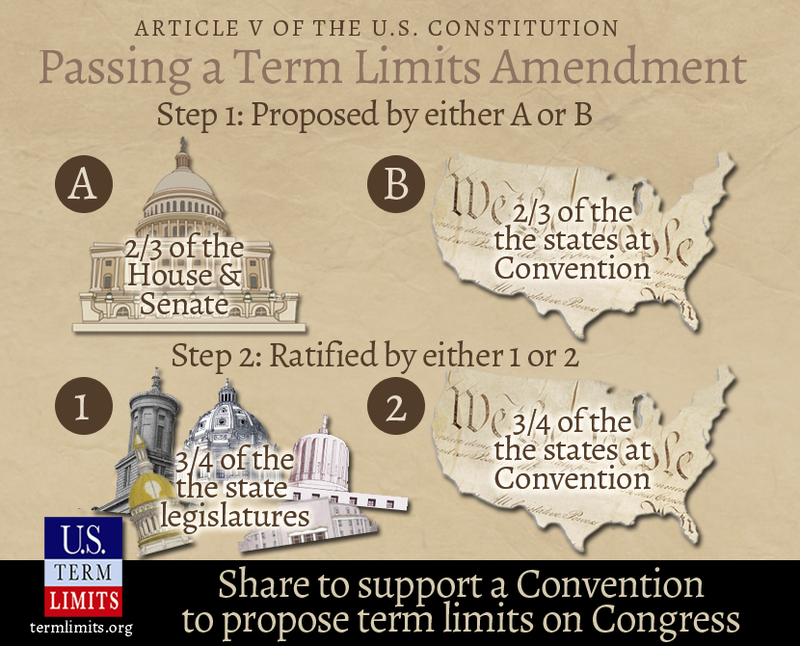 The Article V Convention allows the American people to term limit Congress without needing congressional approval. This process, which comes not from Washington but the states, was designed specifically to rein in abuses of power coming from members of the House and Senate. 1. Two-thirds of state legislatures (34) must pass bills applying for a convention to consider only amendments for congressional term limits. 2. Congress is compelled by law to call the convention, which includes delegates chosen solely by their respective states. 3. The convention reports out an amendment for congressional term limits. 4. The amendment must be ratified by either three-quarters (38) of state legislatures or state conventions. Now is the time for we the people to use this gift from our framers. In January 2016, U.S. Term Limits launched its fight for Term Limits Convention applications in state legislatures across this nation. We won’t stop until the job is done. If you’re with us in this fight, please sign the petition in support of congressional term limits. This is an exciting time to be a term limits advocate. We thank you for your support in the campaign and cannot wait to reform America alongside you.